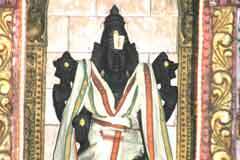 The temple is praised in the hymns of Saint Tirugnanasambandar. This is the 29th shrine in Thondai region praised in Thevaram hymns. 10 day Chithirai Brahmmotsavam in April-May, special pujas on new moon and full moon days are observed in the temple. 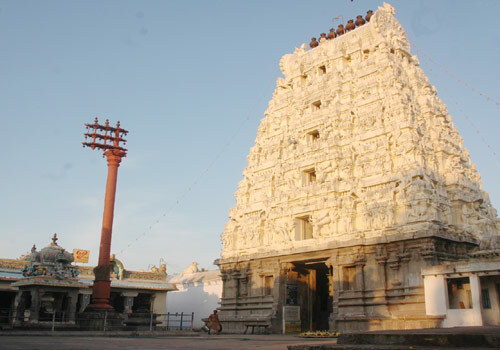 The temple has two presiding deities Atcheeswarar and Umai Atcheeswarar gracing the devotees from two separate sanctum sanctorums. Also, two Mother-Goddesses Ilangili Ammai and Umayambigai grace from their respective sanctums. Lord Shiva is a Swayambumurthi. 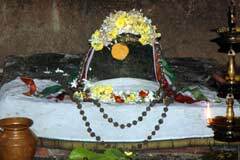 Saivite Saint Tirunavukkarasar mentions this temple in Kshetra Kovai hymns. 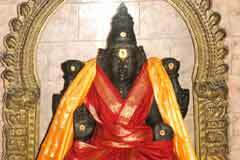 Saint Gnanasambandar has praised this temple in his Thevaram hymns. Demons Tharaka and Vidyunmali destroyed by Lord Shiva are the Dwarapalakas. Meditation Nandhi is before Umai Atcheeswarar shrine. 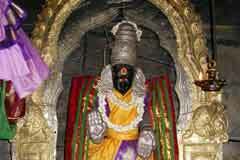 Sri Atcheeswarar Temple, Achirupakkam, Kancheepuram district. +91- 44 - 2752 3019, 98423 - 09534. Devotees perform special abishek to Lord offering vastras. While a Pandya King was on a pilgrimage to Lord Shiva shrines, the axis of his car was broken. While his men were repairing the wheel, the king noticed a golden chameleon (pachondhi – a lizard-like creature often found climbing trees and changing is colours) and followed it. The creature hid itself in a Sarakondrai tree. When his men axed the tree, it began to bleed but the chameleon could not be traced despite all efforts. Lord appeared in the dream of the king and told him that He appeared here in the guise of the creature to inform that He was there as a swayambu. The king, taking the command of the Lord decided to build the temple. He came across a Shiva devotee Trinetradhari and sought his help in the undertaking. Leaving the job to the devotee, king proceeded on his pilgrimage. When he came to meet the devotee, he saw the temple with two presiding deities in two sanctum sanctorum. One was in the middle of the temple with a flag post (kodi maram) and Nandhi for Atchipureeswarar and the second behind this opposite to the Rajagopuram for Umai Atchipureeswarar. 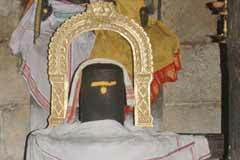 In this sanctum, Lord graces in the Shiva-Parvathi wedding form behind the Shivalinga. When the king asked the devotee for this form, the devotee said, “Lord who graced you, graced me too in the form of chameleon. I built one sanctum for the Lord who graced you as Umai Atcheeswarar – (the word Umai means “You” the king) and one for Emai Atcheeswarar (Emai meaning Me the devotee) which is the main sanctum.” The King agreed to the formula. 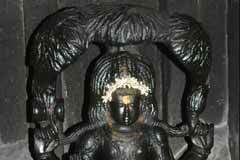 Emai Atcheeswarar the Swayambulinga is considered prominent. The flag post and Nandhi are slightly away from the Rajagopuram. 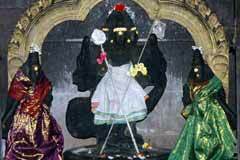 The devotee, Trinetradhari graces in the shrine of Sarakondrai Easwarar under the tree in a worshipping form. Flowers blossom in the tree only during the Chithirai festival days. Lord Achumuri Vinayaka (Vinayaka who broke the axis of the car of Lord Shiva – this story forms part of the history of the temple) graces outside the temple facing west. 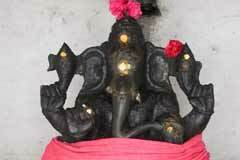 This event is mentioned in the first Tirupugazh of saint Arunagirinathar as Achiru Vinayaka. It is believed that prayer to Achiru Vinayaka would help the devotee to defeat the obstacles coming in the way of his/her endeavours. 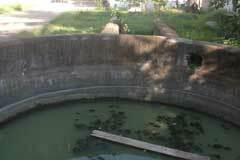 Achirupakkam is near Melmaruvathur on Chennai-Tiruchi Road. City buses are available from Chengalpat. G R D: +91-44-2722 5250.